Have you ever given this question much thought? Your answer will depend on your answer to a number of very important questions that need to be considered first. 1. Do you have a spare? A lot of RVs don’t have a one. Their only option is to call a service and hope the service company has the correct size. 2. If you have a spare, is it inflated? Given the number of folk who seldom check the tires already on the ground a majority simply forget to check the spare or don’t check because it isn’t easy to do. 3. If it’s inflated, do you have enough pressure to carry the load for the position where you are going to mount it? You probably need to be sure you have the spare inflated to the max on the tire sidewall so you can bleed it down to the correct amount for the position. 4. Do you have the necessary tools? Wrench, sockets, long breaker bar, jack, jack stand, steel plate to support the jack, Safety warning triangles, flares, and lighting to see what you are doing in the dark? How about waterproof tarp to sit on while doing the job? The steel plate needs to be big enough to support the jack if you didn’t park on a hard road surface. 5. If you think you have all the correct tools, have you made sure by actually unbolting a wheel? One other thing to consider. If the nuts have been on for a few years there is a good possibility it will take much more than the OE specs to loosen. I have broken Craftsman and SK sockets on passenger lug nuts because they were put on too tight. 7. Finally do you have the strength to lift the tire & wheel to get it on the wheel studs? I suggest that if you think you are going to change your own tire you need to do a few things. 1. You need to pick a nice day and with the RV level and the jack stand on a hard surface, first just see if you can loosen all the lug nuts and then re-tighten to the factory specs. Don’t do just one nut or one wheel but do them all. Be sure to have someone around watching just in case. 2. See if you can move the spare out of storage and to get it back into storage again. 3. Remove the inner dual and put it back on again. 4. Most important be sure you clean the threads and torque the nuts to proper specs. 5. Ask yourself if this is something you want to do while at the side of an Interstate In the rain, at night? If you don’t feel up to the job you will need to plan on having a service do the job. If you don’t have a lot of space for a spare tire mounted on a wheel you might consider having a used tire of the correct size just in case the service company doesn’t have your size. If informed most can do a tire change for you and you will save some big bucks too. You can always pack stuff inside the tire if there is no wheel. Finally be sure to check the air on the spare every month, even on your toad. For quite some time I’ve wanted to start a series on things to look for when examining a tire that has failed. Why is it important to have an idea about why a tire failed based on an educated thought process rather than just a guess based on inaccurate or incorrect hearsay from an RV forum post? 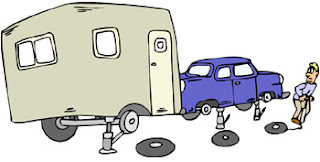 If you don’t know why something happened, how can you be sure the “corrective actions” you are taking such as increasing size or load capacity or changing manufacturer or moving your bowling ball collection from one side of the RV to the other, will prevent another failure? Failed tire analysis is a combination of science and art coupled with decades of on-hands experience under the guidance of experienced engineers. When you undertake the process, even at the most basic level, obtaining reasonable results is better than a guess based on incorrect training or no actual knowledge of what a tire is. Without even the most basic understanding of how a tire is manufactured your guess would most likely be no better than that of a medieval healer suggesting that bleeding a patient would prevent a heart attack. 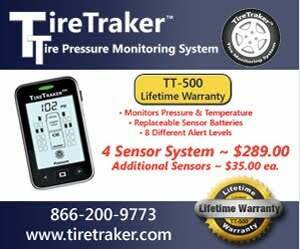 I have no expectations that this blog can substitute having a degree in chemistry or engineering and working decades in the tire industry, but I do think that I can provide some basic concepts to help you know what clues to look for so you can have a reasonable expectation of identifying the most common causes of tire failure. Think for a moment about taking a class in CPR. You would not be able to do open heart surgery but you might be able to save someone’s life because you knew much more than that medieval healer did about how the cardiovascular system worked. First off let’s talk about tire manufacturing. Experience has taught me that most people know that tire manufacturing involves putting rubber in a mold and cooking or more accurately “curing” it. Some even understand that before the curing process, rubber is mixed and different parts such textiles and steel components are assembled, like mixing cake ingredients before baking it. If you think about making an involved main course such as Boeuf à la Bourguignonne you know that there are a number of ingredients that are combined in different amounts and specific sequences before cooking. I think that if we gave the same recipe for the beef dish to the great Chef Julia Child and to Gary Bunzer, The RV Doctor , we might end up with two edible meals but I think Julia’s might be better. Sorry Gary, I do not intend to disparage your skill as a cook but I believe Julia was a bit better cook than you might be. Let’s first look at how a tire is built or assembled. I will cover chemistry and other items in another post. This video is from 1934. You can see a four ply bias tire being manufactured. As you will see in the other videos many of the same steps are still performed in today’s tire plants with most of the steps now automated. Even though this is an old video I think it will help you understand the faster process you will see in other videos. This 1951 video, also of a bias tire, is shorter but it shows the significant advances in manufacturing especially in the curing part of the process with the elimination of the water bag and all the attendant manual handling of hot metal and rubber. This video, I believe from the 1990s, shows a radial tractor tire being built. The tire size may be different and this is much less automated than current high volume passenger, light truck or TBR tires, but again a similar process is involved. In this video from Pirelli, you will still recognize the steps we saw in 1934 but computer controls allow for an almost fully automated building process. Even if you don’t speak Italian, I think you can understand the process as we build your knowledge base. Finally here is a short video from Hankook from 2010 that shows the overall flow through a tire plant. By now you should recognize all the steps. I hope you enjoyed the videos and now have a little better appreciation of the process. In my previous post on Chinese made tires, I clearly touched a nerve. Now, before I proceed, I have to tell you that when I was working I had a bit of a reputation of sometimes being a bit abrupt and “in your face” with some people. So please keep that in mind as you read this post. It is definitely not my intent to offend anyone but I do sometimes get a bit frustrated. While some felt I had provided a reasonable report on the topic when I suggested that quality is not a function of geography, others seemed to think there was some political conspiracy underway against RV owners. As proof that I was incorrect, it was suggested I would learn the truth about Chinese quality if I did a Google search or looked at some on-line forums and checked out some customer complaints. What I did instead was to go to the National Highway Transportation Safety Administration website and did a search for tire recalls to see which brands had recalls underway. I found over 200 tire brands in the current list with probably 1000 individual tire lines involved. Included in the list were BF Goodrich (owned by Michelin), Bridgestone, Continental, Firestone (owned by Bridgestone), General (owned by Continental), Goodyear, and Uniroyal (owned by Michelin). Each of these brands have a fair number of tires on the recall list. I did not see Mission brand, which is a specific brand identified by one person who contacted me about my post. When I looked at the list of current investigation, I found most of the same names but again no Mission brand tires. I did find a single complaint from someone claiming that three of the “Mission Radial ST” tires on their passenger car had suffered tread separations. The complaint identified the tire manufacturer as GENERAL TIRE & RUBBER CO. This “complaint” is a good example of one of the major problems NHTSA faces. That being incomplete and inaccurate reports. The three failures were claimed to have occurred in Feb 2011 but the person didn’t bother to file a complaint till Jan 2012!. Since these were on a passenger car they should not be Mission brand ST type tires. 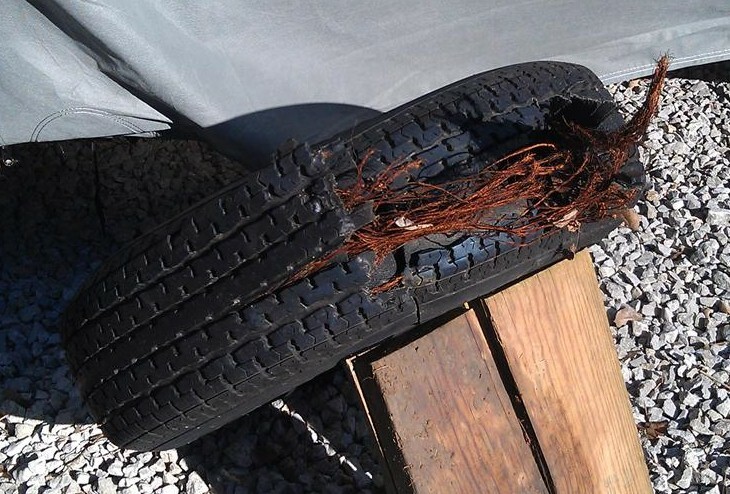 A review of other complaints shows that a significant portion of those filing complaints were more interested in reporting problems related to having a tire fail while on the road or concern for their dogs, than providing accurate data or even the most basic information related to the tires in question. A Goodyear brand tire complaint summary stated “A 2011 CHEVROLET CORVETTE GRAND SPORT EQUIPPED WITH GOODYEAR EAGLE F1 TIRES LINE SIZES P325/30Z R19 (REAR), DOT NUMBER: M6XE DBDR 3010 AND P275/35/Z R18 (FRONT), DOT NUMBER M652 DBDR 2810. THE CONTACT STATED THAT THE VEHICLE HYDRO PLANED DURING A RAIN STORM, CAUSING THE VEHICLE TO DRIVE INTO ANOTHER LANE. THE VEHICLE WAS NOT TAKEN TO THE DEALER BUT THE MANUFACTURER WAS CONTACTED AND MADE AWARE OF THE FAILURE. THE VEHICLE WAS NOT REPAIRED. THE FAILURE AND CURRENT MILEAGES WERE 1,700” Do you think it possible the driver was traveling too fast for the conditions? A Firestone brand tire DOT serial given as “DOT 522P P235/50R17” (size in this complaint listed elseware as a 23575R15) More info on DOT serials can be found here. Here is a picture of a tire that has failed. While I can’t be certain, as I only have the picture to go on, I am inclined to believe this may be the result of a manufacturing problem. If there are a number of tires with similar condition it may justify requiring the importer to replace the tires, maybe even for free or possibly with a different brand depending on the findings of the investigation. HOWEVER there will never be an investigation if there are no complaints. Here is a link to the correct form. If you have had a tire failure not due to puncture, valve or wheel failure, run low or overload then I challenge you to fill out the form with the FULL DOT serial, correct tire brand and correct tire size and Load Range information provided. It does not have to be a “China Bomb”. It does not even have to be on your RV. But simply claiming you had a tire fail a couple years ago but can’t provide accurate information is of no value. I will keep an eye out and report back on just how many Mission brand tires are in the claims next week or so. To those claiming that budget cuts prevent proper actions, don’t you think it would make it easier for regulators to get the funds they need if they had a number of accurate claims that needed investigation? Okay, now I will get off my soap box.